WVMHA offers ball hockey clinics led by professional hockey coaches at local elementary schools. 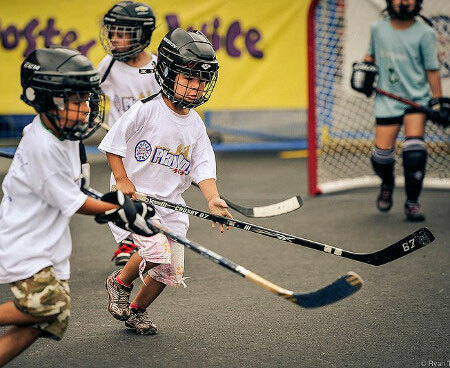 These clinics are open to boys and girls and provide skills based instruction with a focus on introductory hockey skills, getting exercise and having fun. The clinics will run in the gymnasium of the elementary school immediately at either lunch time or after school. There will be one session each week for four to eight consecutive weeks. Participation is open to any boy or girl interested in learning more about ball hockey and ice hockey. You can sign up for all four sessions or drop in to individual sessions. No prior experience in ball or ice hockey is needed. This is an introductory course and everyone is welcome.